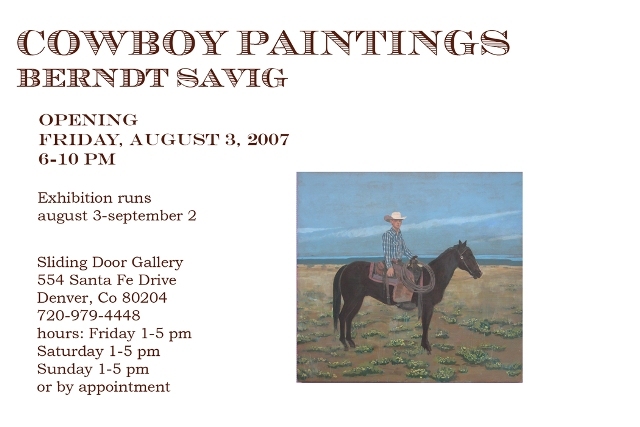 Showing in Gallery 1 is Berndt Savig’s “Cowboy Paintings,” this past June, Berndt worked at Bell Ranch in New Mexico on the annual cattle round-up. The show is comprised of work dervived from this experience. Cowboys working, horses, cattle and other round-up subjects are the focus of the show. The paintings are gouache on board and paper. 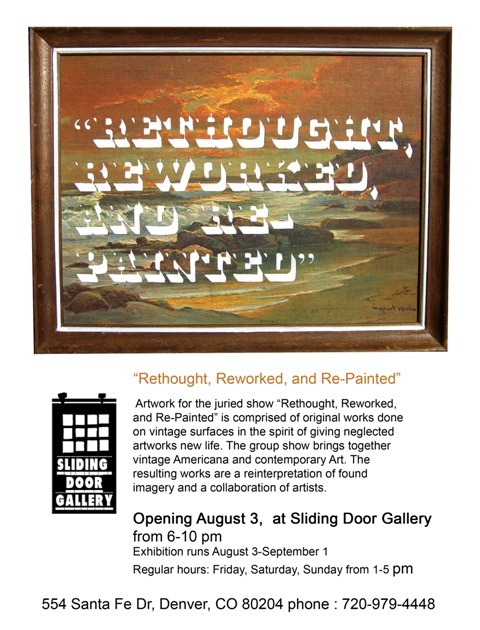 Also – Artwork for the juried show “Rethought, Reworked, and Re-Painted” is comprised of original works done on vintage surfaces in the spirit of giving neglected artworks new life. The group show brings together vintage Americana and contemporary Art. The resulting works are a reinterpretation of found imagery and a collaboration of artists.